May 31, 2018 – Merrick & Company, a global leader in light detection and ranging (LiDAR), digital orthophotography, hyperspectral imaging, and geographic information systems (GIS) data integration, is pleased to announce the release of Version 2018 of the Merrick Advanced Remote Sensing (MARS®) software suite. 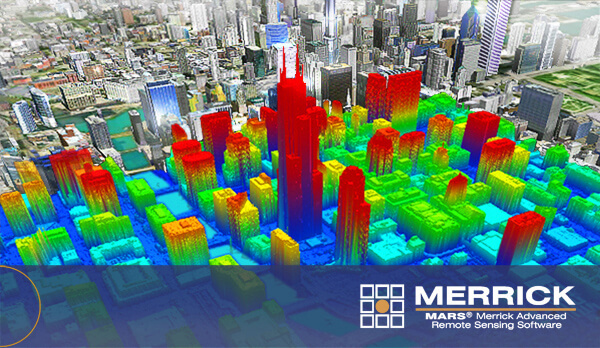 The MARS® software suite provides comprehensive support for LiDAR point cloud visualization, data management, automated data processing, LiDAR quality control, and geospatial data production. Merrick is offering an introductory discount on the updated MARS® Explorer QC license level of $7,495.00 until June 30, 2018. The newest version of MARS® provides many software enhancements and new features, which improve LAS 1.4 data throughput and application usability. Additionally, we are very excited to now offer improved auto filtering tools through the integration of rapidlasso GmbH LAStools filters. The new “Quick Classifications” tool combines LAStools filtering algorithms with a user-friendly GUI and flexible input/output file management. A new LAStools “Ground” filter allows for user-delineated drag box bare earth filtering over small areas. “The integration of rapidlasso GmbH LAStools’ ground, vegetation, and building filters provides the user with simple, fast, and effective point cloud auto-classification using robust and matured filter algorithms,” stated Matt Bethel, Director of Operations and Technology for Merrick’s Geomatics group. Read the latest release notes and more detailed documentation on our website. Merrick & Company, an engineering, architecture, and geospatial solutions firm, serves domestic and international clients in the energy and chemicals, national security, life sciences, and infrastructure markets. The employee-owned company maintains 20 offices in the United States, Canada, Mexico, and the United Kingdom.